About The Author: A member of Romance Writers of America, KOD, and Georgia Romance Writers, Rachel Kall enjoys sharing her talent by writing romantic suspense and contemporary romance. 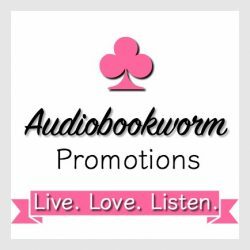 Legally Undercover was also released this year in audio. About the Story: Vivian Reese has it all–looks, intelligence and a great job as the spokesman for a senator campaigning for the President of the United States. However, the campaign starts unraveling when certain incidences happen that point to foul play by team members of the campaigning senator. Marc Locke, a past special agent for Delta Force, now working for the FBI has been tasked to find out whom in the senator’s campaign team is accepting illegal contributions from a Super Pac. He gets attached to the team as a security specialist working under the Secret Service. Vivian meets Marc while he’s working security at the entrance of a building where she’ll be speaking live at a national TV spot. He wouldn’t let her pass because she had left her ID in her car. After a few words and someone vouching for her he let her enter. Vivian thought he was a hunk, but she didn’t have time for men right now. And when she found out that Marc had been in the Delta Force, she definitely wanted to steer clear. Her ex had been a SEAL and he had cheated on her. No way would she tie herself to another alpha male. Marc on the other hand was VERY interested. However, he needed to find out if she was involved in the financial shenanigans, not to find his way into her bed. Although the best way to do that was to see if he could draw her out, get to know her. Of course, another part of his anatomy was very happy to come to this conclusion. Yeah, as far as he was concerned, she was hot. Bad events start to escalate and they all seemed to point to Vivian. At the same time Vivian felt that she was being followed. Would Marc be able to protect her? Was she telling the truth? Should he follow his gut and believe her? More people besides Marc are carrying around secrets and some just might be deadly. My Thoughts: The story line was very believable–which made it more suspenseful. I enjoyed the relationship that grew between Vivian and Marc. Vivian had a hard time trusting another alpha male. Her ex-fiancé told her that he cheated on her. So this inner conflict in liking Marc and knowing she shouldn’t trust him was taking place. Marc also felt that his decision during an operation in Delta Force was the wrong one—killing one of his team and injuring others. He couldn’t forgive himself for that, neither could his best friend who was part of the operation. So when Marc had to make decisions to save lives, to save Vivian, he wasn’t sure if he was making the right ones. These internal conflicts only deepened the suspense of the story. Since this is book 1 of a new series, I’ll be looking forward to book 2. There were some minor characters in the story that I could see needed a story of their own. 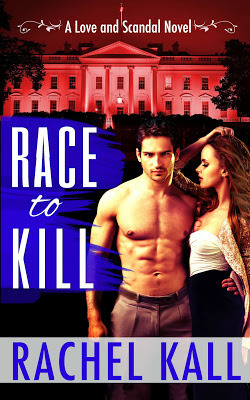 This entry was posted in Book Reviews and tagged Book Review, Delta Force, political intrigue, Race to Kill, Rachel Kall. Bookmark the permalink.